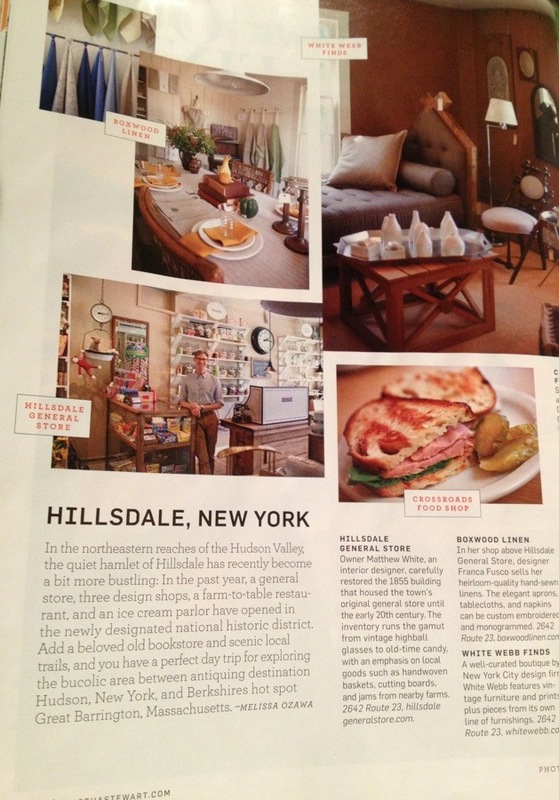 It was such an treat to see the lovely article about Hillsdale in the current Martha Stewart Living magazine that arrived the other day. For any of you in the area or traveling this region of the Hudson River Valley, a stop into one of the shops mentioned or for a meal at the Crossroads Food Shop is a must. We will be back for a week in November to interview contractors for, fingers crossed, work to begin on our home in Hillsdale this Spring. It is such a charming area to putter about, with a walk around the national historic district becoming even more interesting with the addition of all these establishments. This entry was posted on Monday, October 15th, 2012 at 7:26 AM	and is filed under Design, Life. You can follow any comments to this entry through the RSS 2.0 feed. You can leave a comment, or trackback. how exciting! Next time you are through Hudson stop in at my friend Jocie’s shop- “Red Chair” on Warren, and tell her I sent you! You’ll love her shop. She moved from a neighboring town here in NH and I so miss her shop. 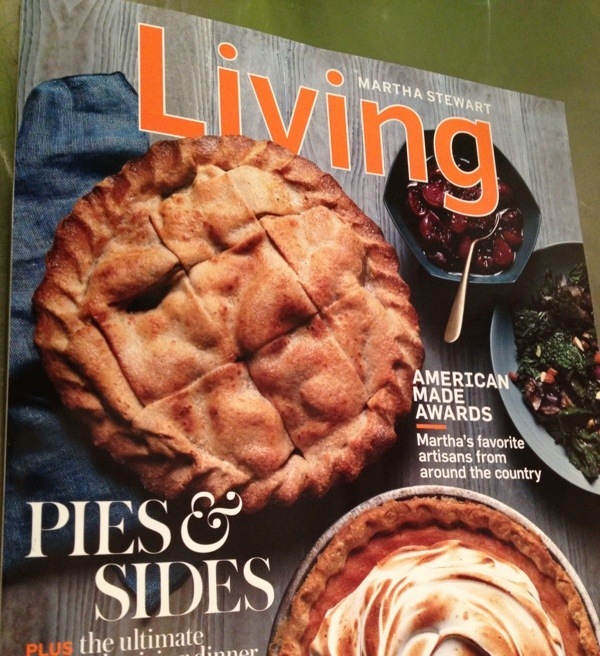 Grove 45 EVOO is featured on page 24 of Martha’s “Whole Living” magazine this Nov. issue. I have not seen it yet, but I can hardly wait! saw this article and it reminded me of you! Thank you for highlighting Hillsdale!! 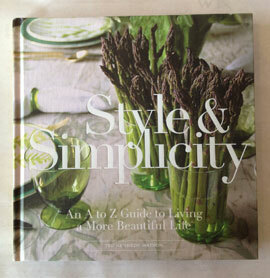 On our recent trip to Hudson Valley, we had dinner at Crossroads and shopped at the Hillsdale General Store. Both were delightful and we can’t wait to go backl!!! Hello! This is Paul, the Manager of the Hillsdale General Store, thank you mentioning us on your wonderful site! Welcome to town! Today is my 3-year anniversary as a Hillsdale resident. It is the most wonderful place I’ve ever lived!